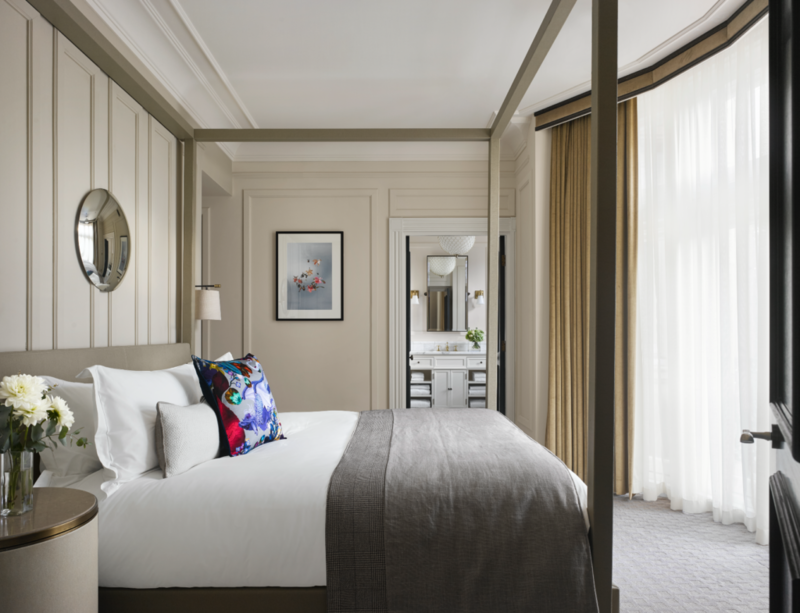 We are pleased to announce our work on the newly re opened Kimpton Fitzroy formerly the Principal Hotel in London’s Russle Square. Charles Fitzroy Doll designed this hotel way back in 1898 and our designs depict Lucky George, the resident dragon at Kimpton Fitzroy London. The buildings original architect Charles Fitzroy Doll, not only designed our hotels architecture, but also the dining room on board the RMS Titanic. 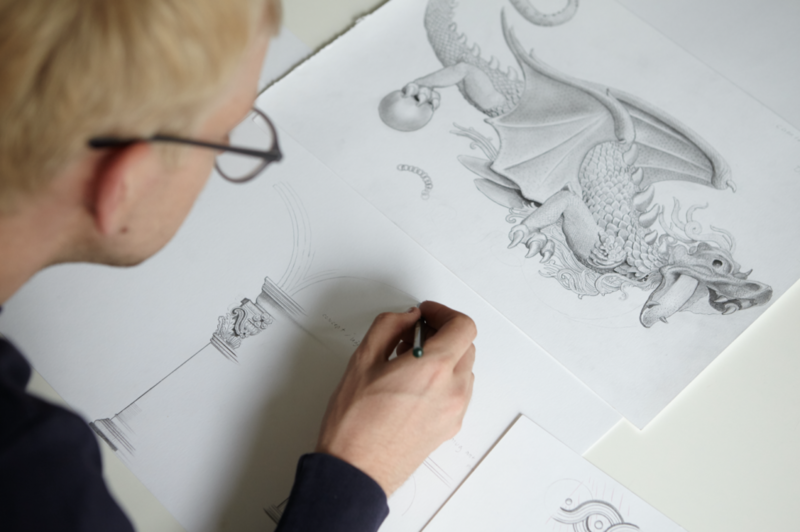 He crafted two dragons in solid brass, one sits proudly on our main staircase, the other one (the not so lucky one) currently rests 12,500 feet beneath the surface of the North Atlantic Ocean still on board the fateful ship. Kit Miles studio selected key elements from within the interior and combined them into striking designs reflecting the hotels individual character and bringing into a vibrant, ornate focus, key architectural elements, underlining the hotels history and through design defining a path into its bright and vibrant future as one of London’s premier designations. 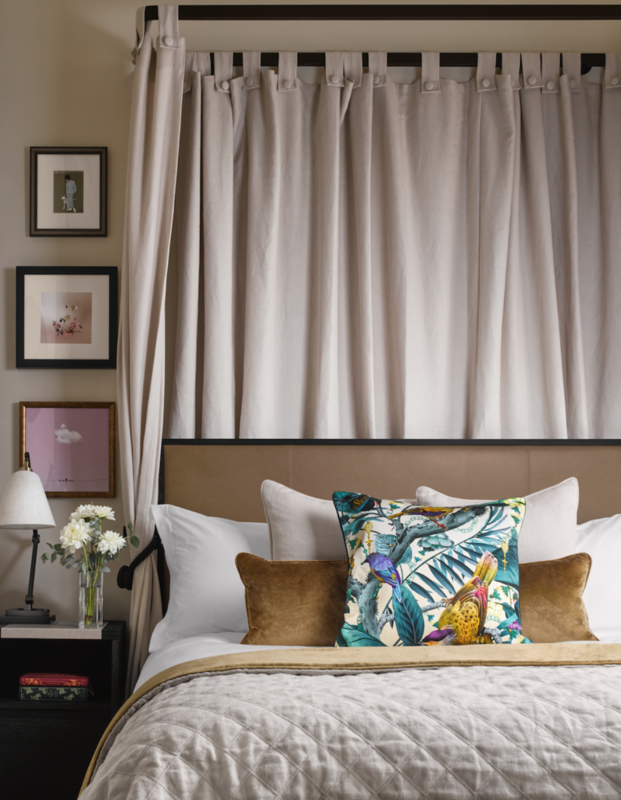 How did you work to bring the vibrant Kimpton spirit to life in the hotel ? The relationship has really grown from our shared values of excellence, a cultivated strong point of view, consistency and with excellence at its core. What inspired to choose these two designs for the soft furnishings? We worked with Henry form ICH on this, Henry really has that vision where it comes to the end goal as well as adding those details that makes a space really become a destination for its visitors. The designs in our range reflected some of the detailing within the hotel and we even drew custom elements from around the hotel and its exterior and incorporated them into the print. This combined with a specially specified and coated fabric, The results are trying beautiful and showcases our studios custom approach when working on commercial projects.